Mother and son after the bath. 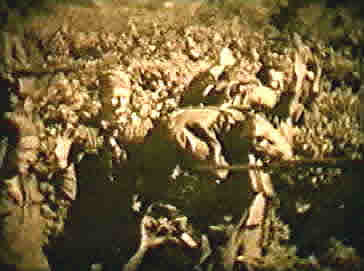 Russian prisoners of the Second Hungarian Army in the Ukraine. 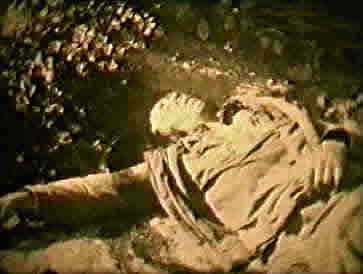 Dead Russian soldier in the Ukraine. 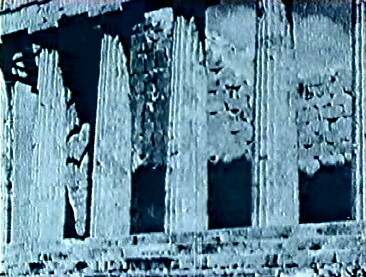 The Acropolis in German-occupied Athens. 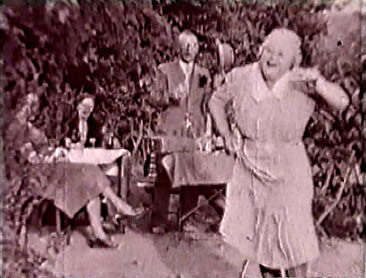 A tipsy Belgian woman dances for the camera. 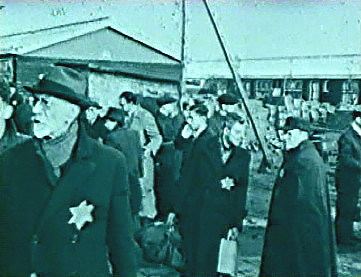 Jews at the concentration camp in Westerbork, the Netherlands. 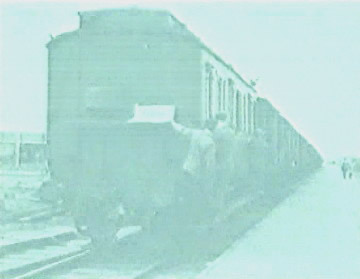 The train from Westerbork disappearing into the “mist” of a fade to white. Maria’s chief tormentor identified. 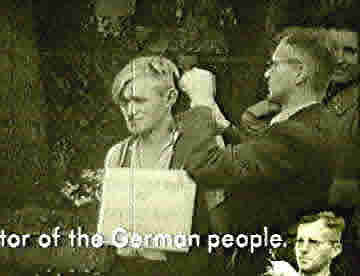 Paul Hose cutting Georg’s hair. 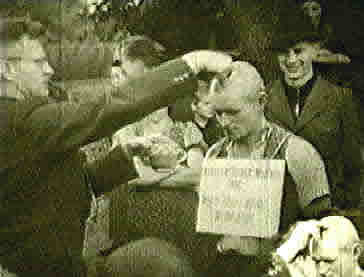 Paul Hose ties Maria’s remaining hair in a pigtail. Georg gets the same treatment as Maria. 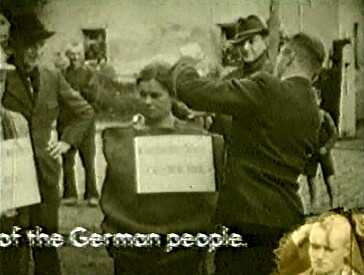 Maria and Georg paraded through the village. 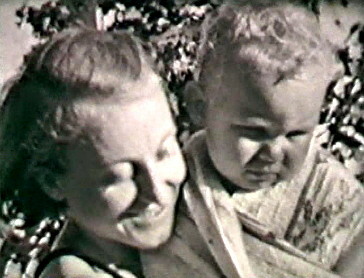 A young spectator in the parade looks back at the camera. 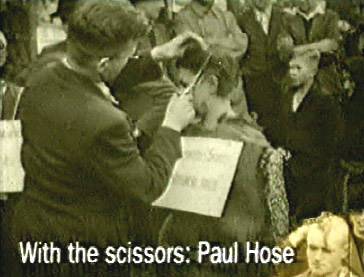 As villagers stand around watching, a severe-looking man, identified in visual text as Paul Hose, uses large scissors to cut off all of the girl’s and the boy’s hair, except for a forelock that is twisted and tied into the shape of a pig's tail. 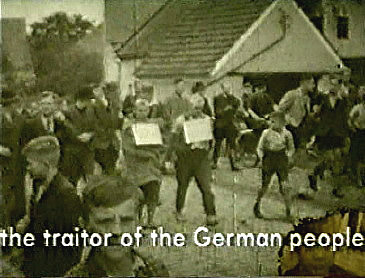 Then the two are paraded down a village street. 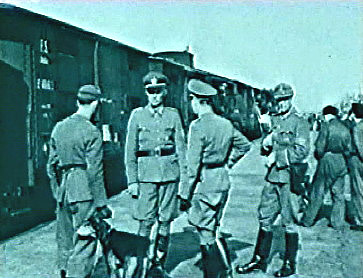 An unusual visual element in these sequences is a small inserted image in the lower right-hand corner of the frame. In each sequence a miniature “snap shot” of something or someone in that sequence appears in the insert. The most disturbing of these is not, as one might expect, the face of Maria or Georg or Paul Hose. 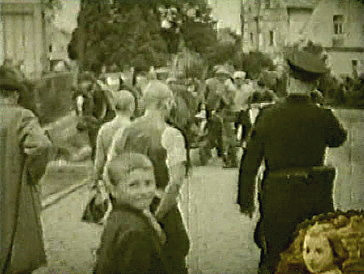 It appears in the final sequence, which ends with a group of children following behind the procession. 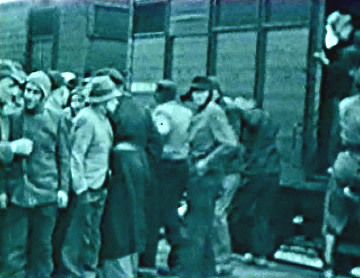 Several of them look back at the camera as the shot ends in a freeze frame. The insert shows one of them: a young girl whose pretty, expressionless face says nothing—and everything—about the ritual of “racist punishment” and communal cruelty she has just witnessed. 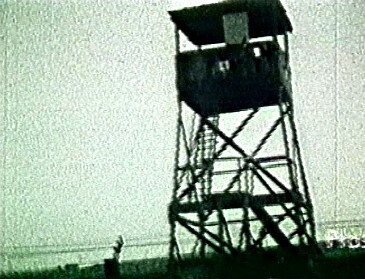 A Nazi concentration camp at Pazlow, Poland. 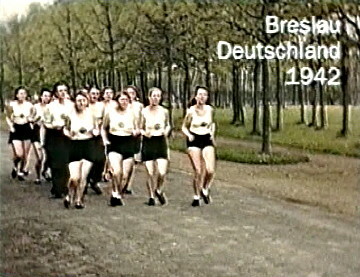 Members of the German Labor Front jogging in formation. 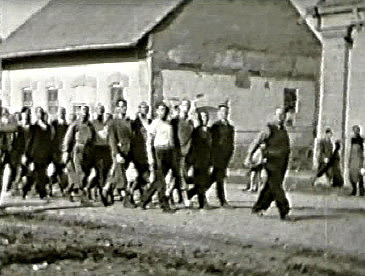 A Jewish workers company in Hungary marching to work. 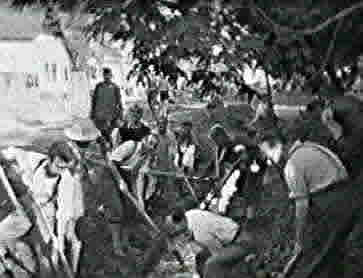 The Shovelers Brigade at work. 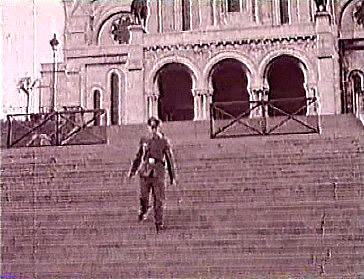 A Wermacht officer descends the steps of Sacre Coeur. 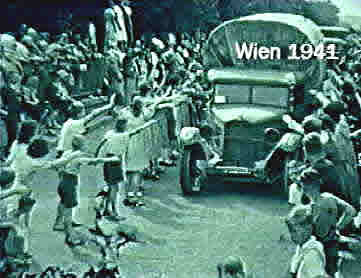 Crowds welcoming victorious troops in Vienna with nazi salutes. 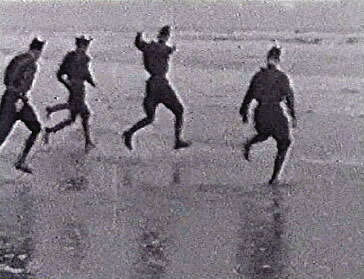 Dutch Nazis cavorting on a beach in the Netherlands. 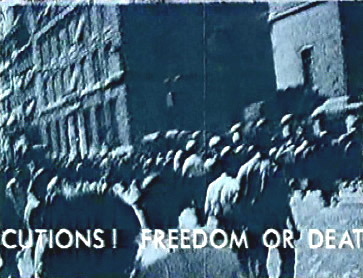 An anti-German demonstration in Athens.